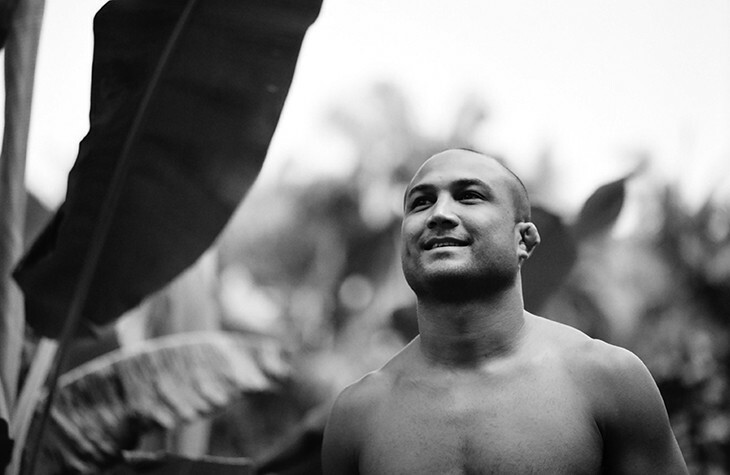 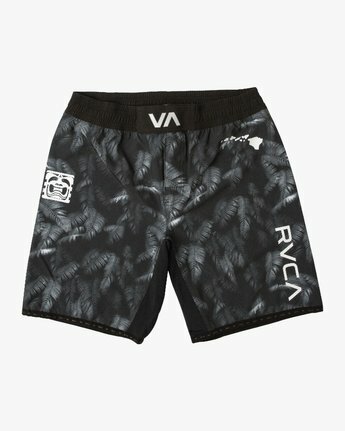 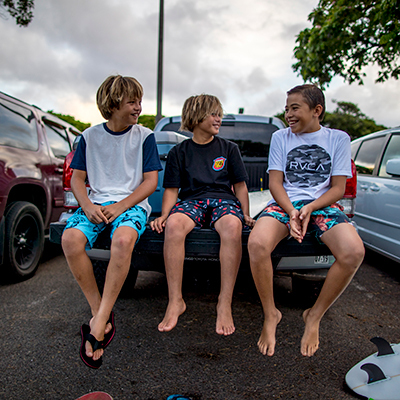 The RVCA BJ Scrapper 19" Short excels with lightweight, fast-drying, performance stretch technology and is designed by MMA legend BJ Penn. 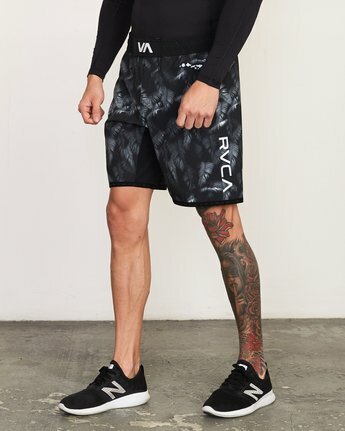 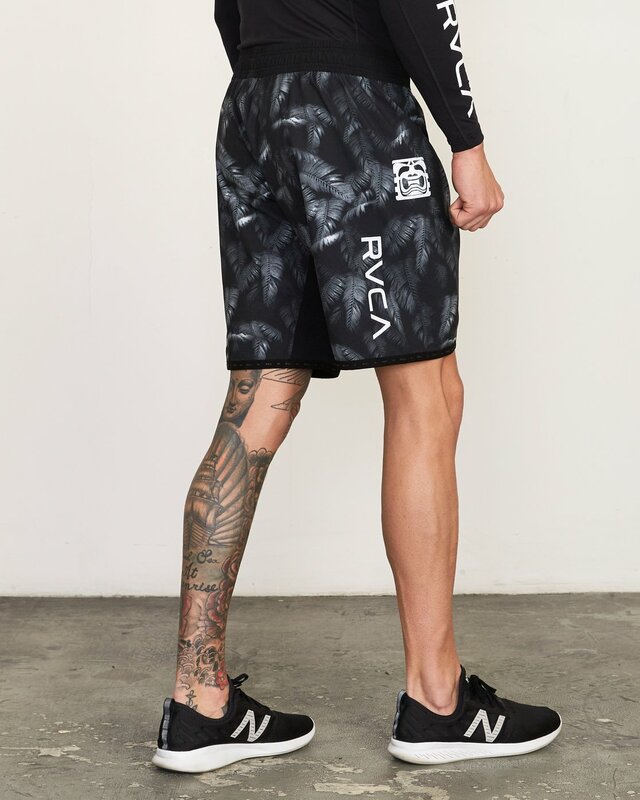 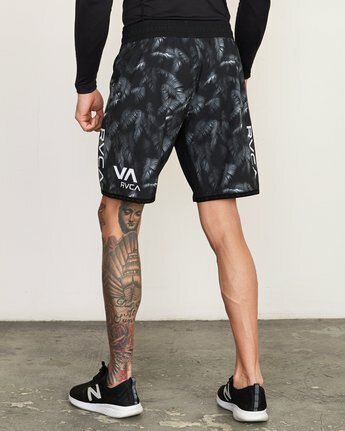 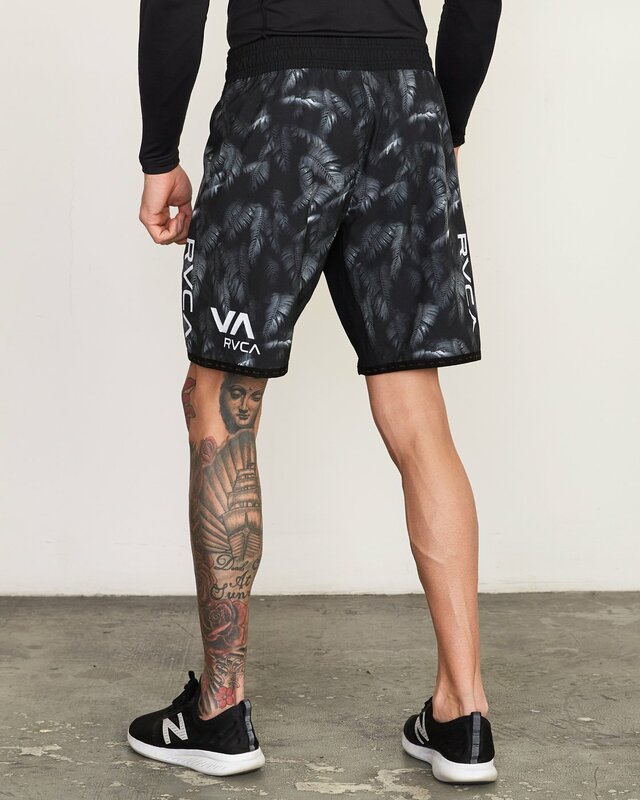 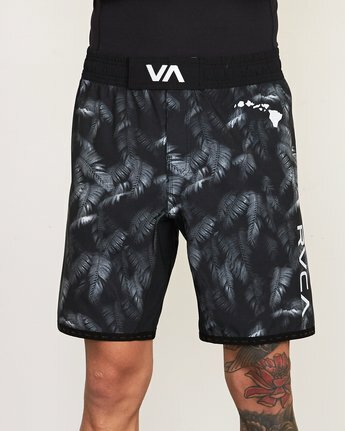 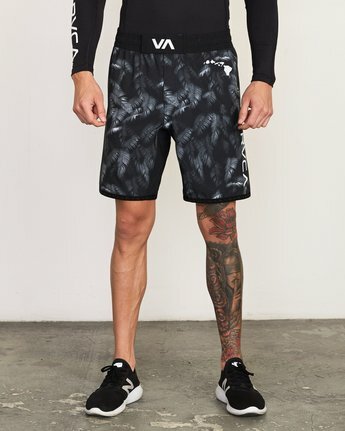 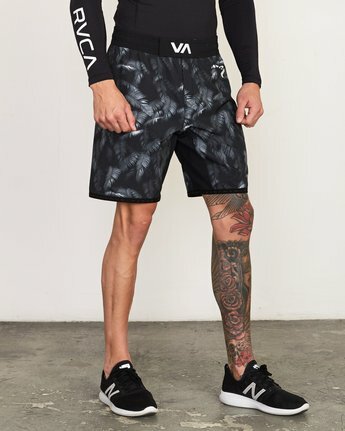 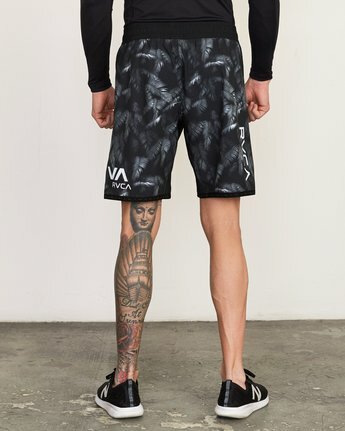 Featuring a custom palm leaf print throughout, the VA Sport Collection mens training shorts are secured with an elastic waist and hook and loop closure at inner thigh and binding. 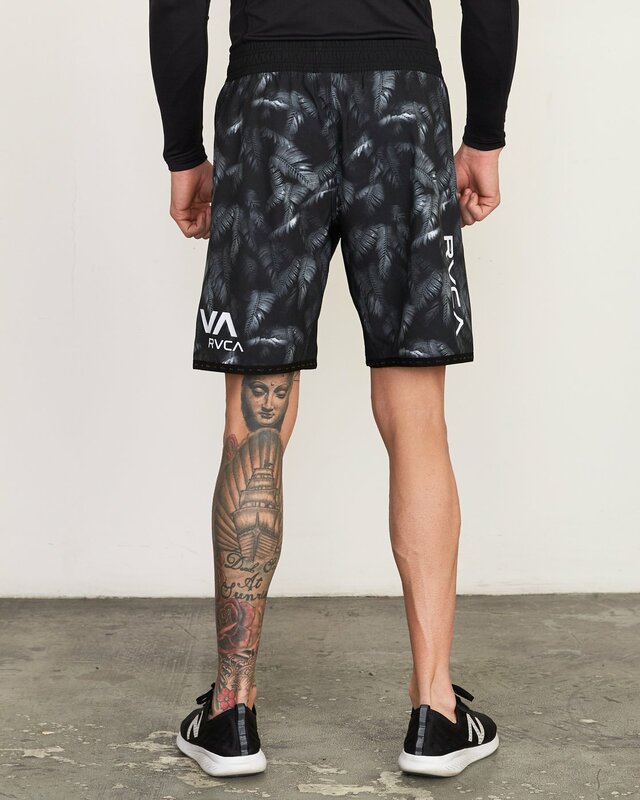 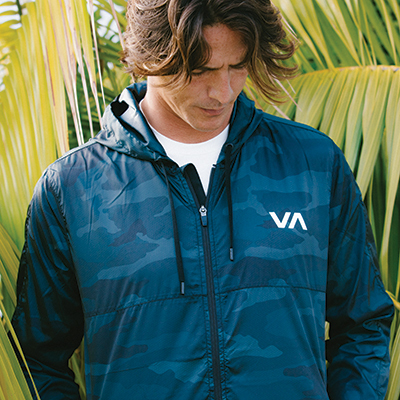 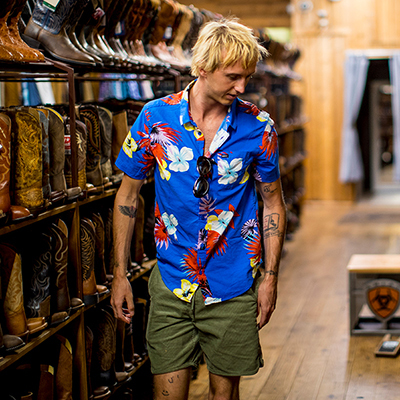 Custom details include VA embroidery at the front closure and RVCA and VA prints.